Caption slip reads: "Photographer: Jensen. Assignment: Deer food. 708: Minnie & Rudy & Judy. 72: 3 ft. cameoflydeer sea...(?). Emil 'Wick' Wickman, 431 Cannell Dr., Kernville.73: Fox (Duchess). 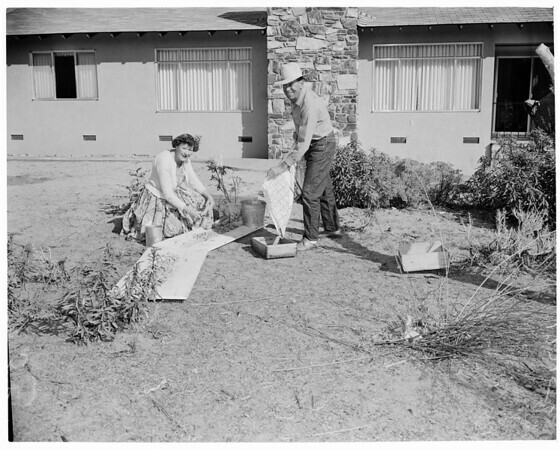 35-36: Mr. & Mrs. Emil Wickman setting out food."